Welcome and thank you for your interest in Bates International Motor Home Rental Systems, Inc. We are proud to be a leader in recreational vehicle (RV) rentals, franchises and revenue sharing throughout the world. 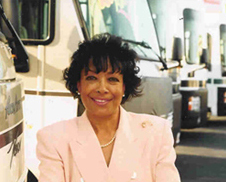 Bates is the 1st privately owned RV rental franchise company in the world. Our track record over the past three decades is built on providing memorable experiences, quality service and value for our customers. We have grown from a "home", "start-up" business to one of the "Top 500 U.S. Franchises" for the 2nd consecutive year, (2007 and 2008) as listed by Entrepreneur Magazine. In today's dynamic global marketplace, RVs are a vital part of the Travel/Tourism industry. Experience has shown that the RV rental market continues to expand throughout the world in every economic cycle. We are members of several important associations; one of which is the Travel Industry Association (TIA); our company participates in its International POW WOW travel trade shows. In May of 2008 the Travel Industry Association (U. S. Travel Association) released a landmark survey that revealed frustration among air travelers that cause them to avoid an estimated 41 million trips in a 12 month period at a cost of more than $26 billion to the U.S. economy. One of the results were more ground trips, i.e. personal autos, rental vehicles, buses, trains, as well as the use of RVs over a wider demographic. That is one of many excellent reasons why we constantly strive to provide exceptional travel standards, to the general public, in all phases of the RV industry. Bates International specializes in providing premium RVs that serve a wide variety of needs for our business clients as well as a full scope of RVs for families and individuals. We look forward to extending our many years of our RV business experience with you. ©2019 Bates International | All Rights Reserved.